Shoey has two for sale , but you have to buy both. Not yet. He has other things happening at the moment. He does still want one though. Would be keen to have a look at the 430 if he wants to sell it? 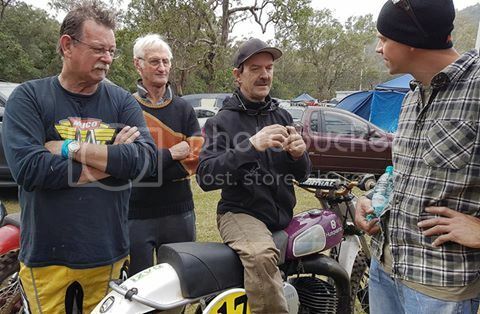 This bloke in the pic wants to buy it as well, says it's the best setup Husky ever, the other old bloke said it was nearly as good as his Maico. Those blokes have got heaps of bikes already.